Is Inline Skating a Good Workout? I'll say it: I hate working out. And I have plenty of loved ones who hate it, too. Even after finally learning to love running, I still have an exceptionally difficult time getting off of my couch and out into the world for an exercise session. Or at least, I did . . . until I found my very favorite workout tool, which I am already planning to buy for the other workout-phobes on my holiday shopping list. During my initial search, I realized that inline skating (four wheels in a row) is a better option for the results I wanted than rollerskating (two wheels in front, two wheels in back). Inline skating is easier on your joints than running while burning a similar amount of calories and works the outsides of the thighs, which is precisely the area I wanted to tone. 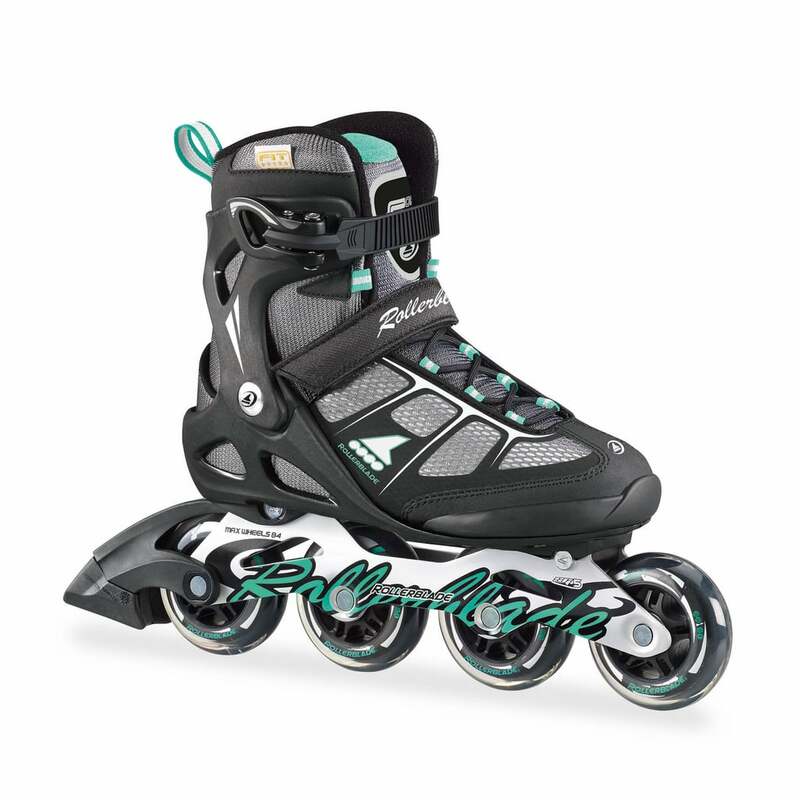 So I reached out to the folks at Rollerblade, who sent over a pair of Rollerblade Macroblade 80 ABT inline skates ($150) for me to begin my workout journey. Putting on the skates and expecting to slip right into my old skating carhop ways was a sobering experience. Realizing that I'm not 16 anymore, I quickly invested in wrist guards and knee pads to use until I got back into the swing of things. But after forcing myself to get out and skate for a few days every week — I live near a waterfront path that's perfectly suited to my new skates — I began to notice how much stronger my legs felt. 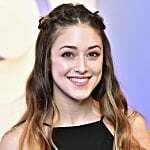 And what's more, I began to feel my posture improving; I was so aware of how I was holding my body to balance on skates, it nipped my frequent slouching in the bud. So . . . Is It Enough? Just like running was never able to check all of my fitness boxes, I need more than just inline skating in my workout regimen. Though I use skating as a good form of cardio and a joint-friendly answer to my old leg and booty routine, no workout is a cure-all. I still try to fit daily planks, some heavy lifting, and soothing yoga into my lifestyle when I can, because — as I learned from my first fall when readjusting to skates — balance is key. It wasn't until a friend of mine commented on my skates sitting near the front door that I realized how uncommon of a workout skating is for adults. "I haven't seen a pair of those since the skating rink [in our hometown] closed! I miss skating," she mused, recalling how much we loved the rollerblading-themed Disney Channel Original movie Brink! as kids. Like me, she's no passionate fitness junkie, but she told me that she'd go skating with me in a heartbeat if she had a pair. My mom made a similar nostalgic comment about skating soon afterward, and that's when I decided that I'd be gifting them each with a pair of inline skates — both out of the selfish desire for a skating partner and because I wanted to share my new favorite workout with the people I love. 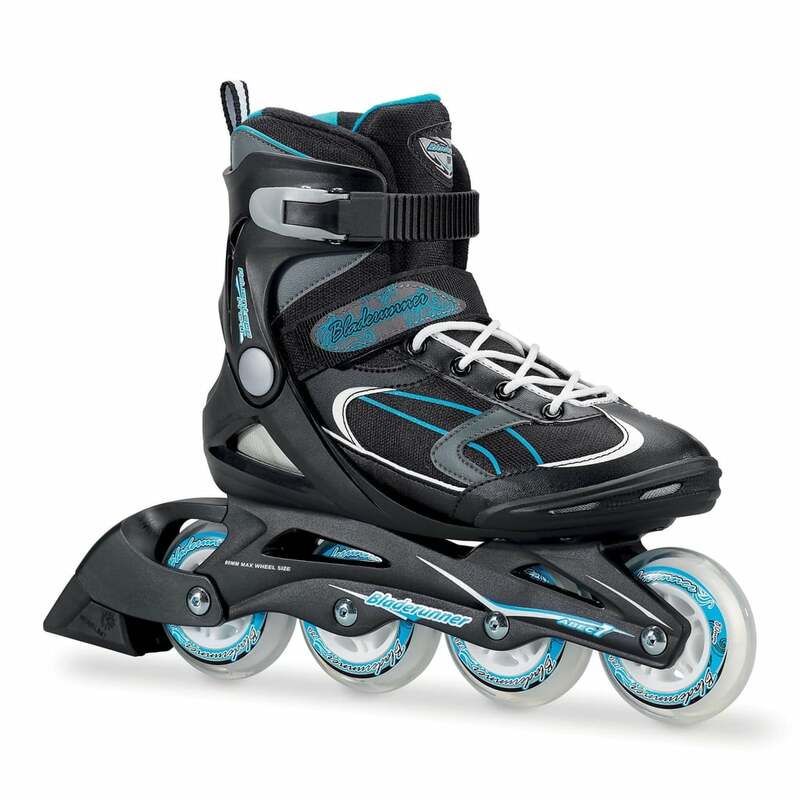 Spoiler alert to the fitness-phobes on my shopping list: you're getting a pair of inline skates ($85), and I fully expect you to get on your wheels and join me!